I'm fond of saying that money buys fashion or freedom. Money can be used to either purchase an appearance, perhaps through a trendy new car or the latest clothes or a house in a certain neighborhood, or it can be used to provide a person with options. Money saved and invested is an enormous benefit on many levels, but it can also be leveraged for the good of our military and our nation. Sound financial and life decisions make for a stronger military. What do I mean by that? Simply this, financial security makes doing the right thing as military professionals that much easier. Take for example, two people both put in a legally or morally challenging situation. One of those people has a mortgage on their house, credit card debt, a car payment, kids to feed, a spouse that depends on their paycheck, limited or non-existent savings and has a negative net worth. The other person owns several properties outright, has no credit card or other debt, owns a vehicle outright, has no children, is married to a financially independent spouse, and has a positive net worth. Which one is more likely to do the right thing by the nation should they be tested and placed in a position where doing the right thing might damage or even end their career? Money buys fashion or freedom. Military professionals can increase their chances of remaining faithful public servants, should they be tested, by minimizing concern for fashion and instead making thoughtful life decisions. While the debt ridden person in the example above will justify service-degrading acts of cowardice with their financial situation, or through some notion of providing for their family, the other individual is more likely to do the right thing and to risk bravely on behalf of their nation. Debt and irresponsible financial decisions are a national security concern. That is just as true at the highest levels of government, as it is down in the trenches where most of us serve. So here is my unconventional financial advice for those just starting to serve in our military. First, live well below your means. This is where fashion must fall to the wayside, as living cheap is not fashionable. Find the least expensive living situation that you can. Explore low rent apartments and mobile home parks. If you are surrounded by "poor" people and your peers give you odd looks as a result of your living location, then you are on the right track. When your peers tell you, "You save a lot of money and I'd live there too but my wife would never allow it," you will know that you have chosen freedom over fashion. A great deal of money can be saved by leveraging military allowance for housing by living well below your means. Find ways to limit or eliminate all other expenses, too. Make a budget and challenge yourself to find creative new ways to shrink it further and live even more cheaply. Second, pay off debt as quickly as possible and don't take on new debt. Many of us had to take on debt just starting out our adult lives. Debt is a reality for most of us. Once we are earning money, paying off that debt should be priority number one. Conventional wisdom would have people pay the minimum on student loans or mortgages, and instead invest their money in IRAs or other financial vehicles that earn a higher percentage than student loans charge in interest. There are tax benefits to such an approach, as well. I disagree with this often cited approach. Debt is a claim of ownership and limits a person's freedom. The goal should be to eliminate all debt as quickly as possible and then avoid debt in the future by saving (to include saving for large purchases like land and homes). Make use of military pay allotments to send money to pay off your debt automatically, leaving you just enough money for your living expenses dropped into your bank account each payday. When you get a pay raise, simply increase your allotment size and do not adjust your standard of living. Out of sight and out of mind, while you count down to being debt free. Third, once you are debt free, save or invest your money. There are a variety of ways to do this and different investment vehicles to choose from. You'll want to put a great deal of thought into where you put your money and weigh the very real risks of our current economic and financial reality. As you see your net worth grow, you can take pride in that fact. As your net worth increases, you can enjoy the fact that the brand new car your buddy just bought with credit...you could pay cash for, if you wanted. As you see your money grow, you may having a burning feeling to purchase something like a sport's car. Instead, purchase a model of that car as a symbol that you could buy it, if you wanted to. 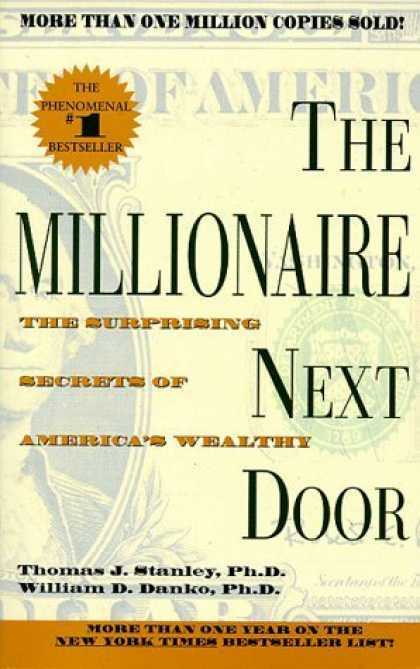 You can enjoy the fact that while you live well below your means, you are actually on your way to becoming wealthy. There are those who look rich, and then there are those who are rich. How many of the people you know are actually wealthy? If they were to lose their job today, and the bank took all the things they thought they "owned" but that were actually mortgaged, where would they be? Chances are high that regardless of rank, you know few if any people with an actual positive net worth. As in all things, being exceptional means being different. Fourth, make smart family/life decisions. My view here will certainly be unconventional. Most who serve have heard multiple stories of those among us who met financial ruin, and ultimately relationship ruin, because the person didn't make wise relationship decisions. These are perhaps the most important decisions a person can make, and yet many people put no real thought into them and instead choose to "go with the flow" like most everybody else. Yoking yourself with a childish spouse in pursuit of the fashionable appearance of a house and white picket fence and family, can prove to be a very costly decision. While you may be tempted to think "I've made it" once you get that first military paycheck, you have not made it until your net worth says you have made it. Simply having a job does not mean that you are in a good financial position, and you must make decisions knowing that your career could end tomorrow. In fact, you should always be willing to lose it to do the right thing for the nation. Likewise, nothing ties hands so much as a person's decision to have children they cannot truly afford to take care of. In my view, you are in no position to have children until you are debt free, own property outright, and have a significant net worth. Invest in yourself. Military paychecks are not guaranteed, as recent furloughs and recent history should make clear. Free health care for life was a promise made by the military, and then broken as Colonel Bud Day and others can attest. Military retirement is also a promise that comes with no certainty, and there are many current ongoing discussions of changing retirement (and not in a good way). The American populace increasingly sees military retirement as somehow a lavish gift, rather than a benefit earned. Governments and banks are stealing money from bank accounts in western nations, and there are massive financial problems in the world today. This is no time to go with the flow. Invest in yourself, because nobody else will. You have to check six and remember that your job is not a concrete asset! Beyond the many benefits of financial independence, it is good for the military and the nation when those who serve are financially healthy. Such individuals are in a better position to do right by the nation, rather than simply serving themselves and putting their paycheck and their ability to make a monthly credit card payment, above their duty to defend our nation. Put yourself in the very best position to support and defend the United States of America, by making smart decisions and going against that very same flow that has led our nation to its current financial reality.